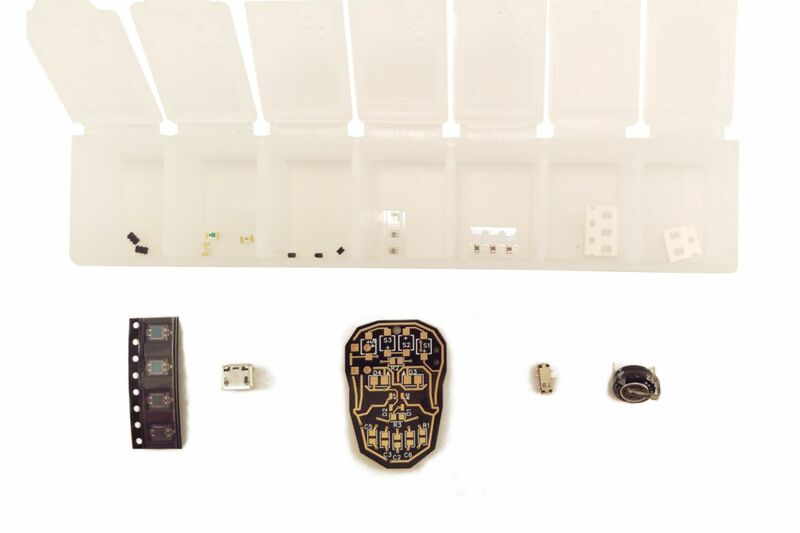 The Lumen advanced Skull soldering kit gives those with soldering experience a chance to increase their skills to surface mount soldering. 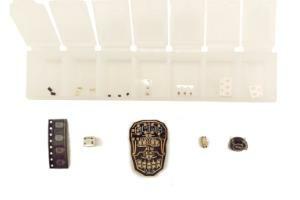 The Skull is a compact and attractive way for students to learn surface mount soldering. Basic instructions included, available with a black Skull shaped board. Once assembled the LEDs will charge either under solar power or using the micro-USB connector on the back. Solar charge time is only 15 minutes in full sun, USB tab charge time is 2 minutes. Once charged the red LEDs will alternate and gradually dim over 3 hours. Does not include cord for hanging. Recommended tools: soldering iron, solder, tweezers, magnifying glass, and patience.